Kansas sunflower mug, created by Elk Falls Pottery, in Elk Falls, KS. 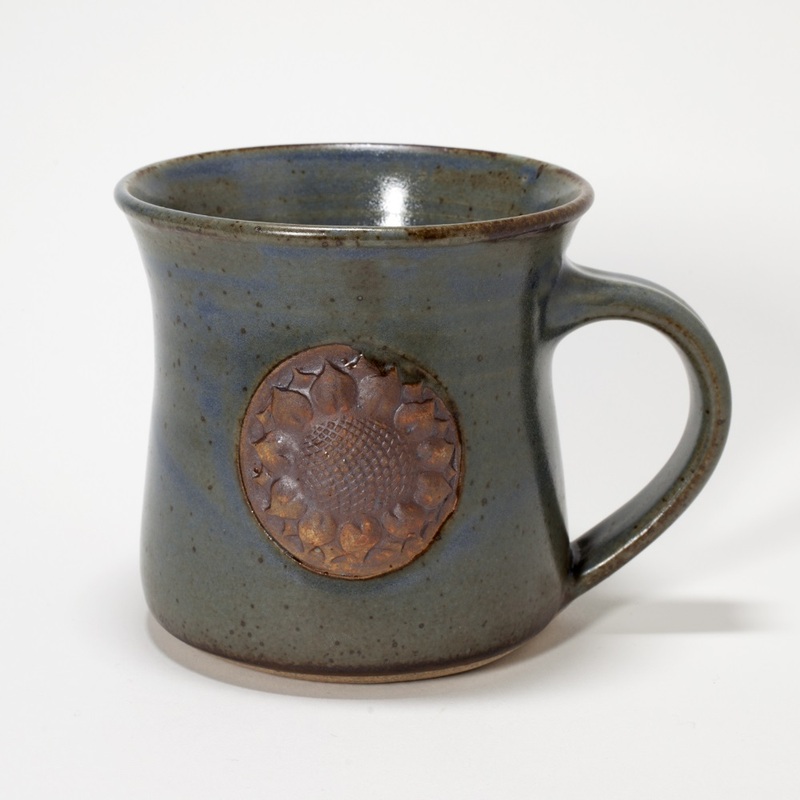 Kansas sunflower mug, created by Elk Falls Pottery, in Elk Falls, KS. 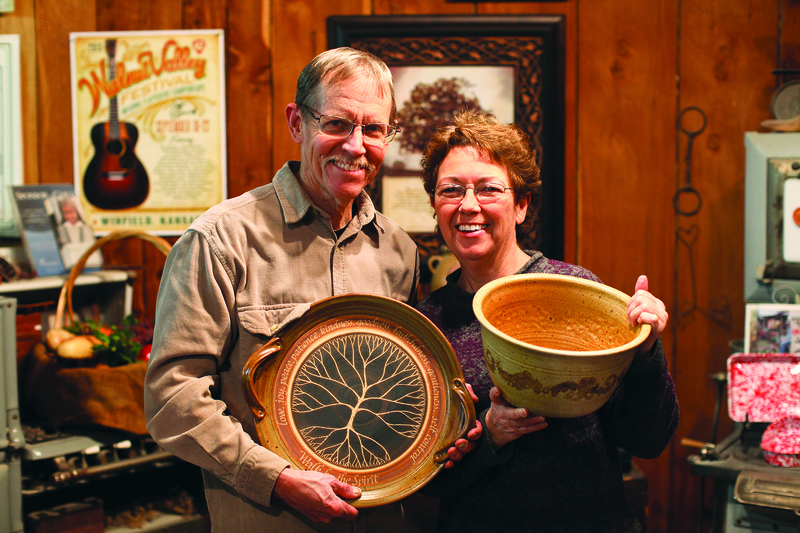 Using clay from Barton County, Kansas, Steve and Jane Fry of Elk Falls create stoneware truly of the state. They appreciate early American stoneware, which influences their work today. The Frys learned about the Barton County clay deposit on a field trip while attending Hesston College in the early 1970s. They travel to the area once a year for their clay supply. Following college, they worked with traditional pottery in the living history village of Westville, near Lumpkin, Georgia, where they gained an appreciation for early American stoneware. They established Elk Falls Pottery in 1976, located near a beautiful waterfall in southeast Kansas. Through their small family enterprise, they continue to make traditional stoneware, maintaining the high quality afforded with things made by hand.